Choosing a honeymoon destination is probably one of the first decisions a soon-to-be-married couple makes together. Most honeymooners look for a place in which either of them has not visited and where they can have lots of fun. Couples also look for honeymoon destinations that offer them the chance to indulge in romantic activities. One such popular honeymoon destination is Singapore, a city-state in South East Asia. Singapore is one of the richest and most modern cities in the world. The skyline of the city is home to skyscrapers, luxurious hotels, premium malls, etc. Moreover, the city is extremely clean and boasts of an almost zero crime rate, making it one of the most popular holiday destinations for families. Apart from this, the city has several attractions which cater to both young and old alike. 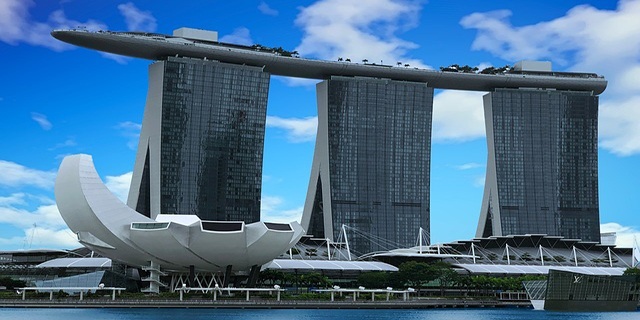 Moreover, if you are looking at Singapore as a honeymoon destination, you would not be disappointed as the city offers several romantic places and activities. Let us take a look at the top 10 romantic things in Singapore that are perfect for a newly married couple. When it comes to romance, nothing can beat a quiet romantic dinner. And when you are surrounded by beautiful sights, it becomes an added bonus. 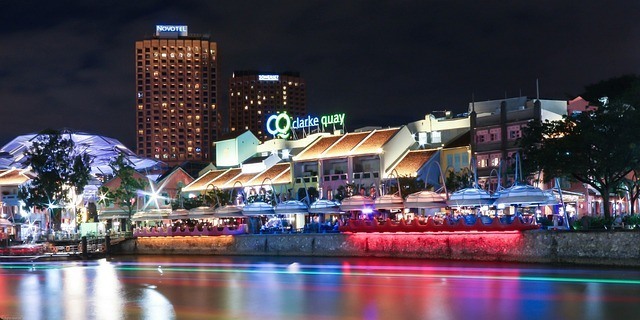 Clarke Quay, a historical riverside hub, is home to some of the best restaurants in the city. Whichever restaurant you choose, you would be rewarded with the view of the gleaming Singapore River and of course great food too. Clarke Quay also offers several entertainment options. Moreover, if you are an adventurous couple, you can also indulge in reverse bungee jumping and extreme swinging. For a more romantic experience, a river cruise would be just perfect. 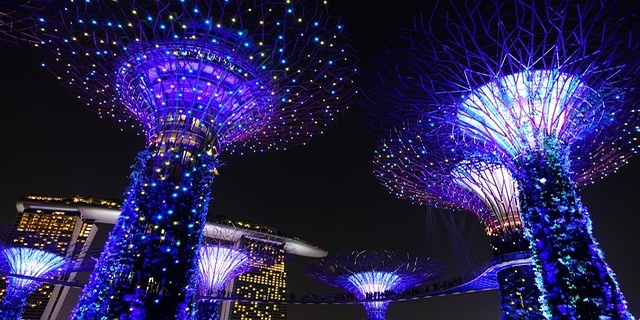 Gardens by the Bay is a futuristic garden, nature's haven amidst the skyscrapers and modern structures of the city. Comprising of two beautiful parks, it is the ideal place for couples to stroll together or perhaps have a little picnic. At the Bay East Garden, you would find tropical palm trees and luxuriant lawns that would impress any nature lover. However, it is the Bay South Garden which would leave you mesmerized. Home to giant manmade trees, also known as Supertrees, they come to life at night when the trees are lit up with multi-colored lights. With so much beauty around you, romance can never be far. Singapore is a city which has an entire island dedicated to fun and entertainment. 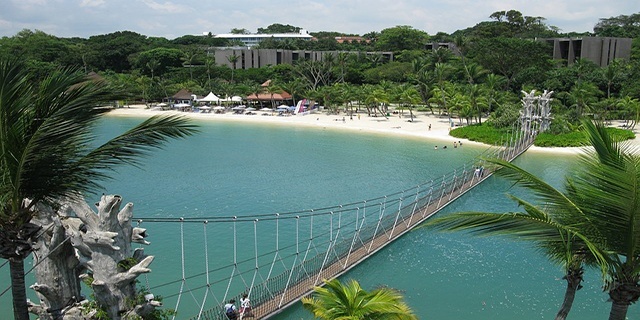 Sentosa Island has so many amazing places and attractions, that you can actually spend your entire honeymoon on this island and never get bored. The place has something for every couple, from the adventurous to the ones looking for some quietness and privacy. You can have a great time exploring the island with your partner by visiting Universal Studios, theme parks, water parks, etc. The island also offers three amazing beaches where you can indulge in water sports go bar hopping or even enjoy some quiet time. Even if you do not have any plans to visit Sentosa Island, take this opportunity to go on a cable car ride on Mount Faber. The cable car ride takes you from Mount Faber to Sentosa and back and is the perfect way to spend a romantic date with your spouse while enjoying the stunning views of both the Singapore city and Sentosa Island. To enhance the romance, opt for a cable car dining option that would give you the chance to enjoy a delicious dinner during the ride. 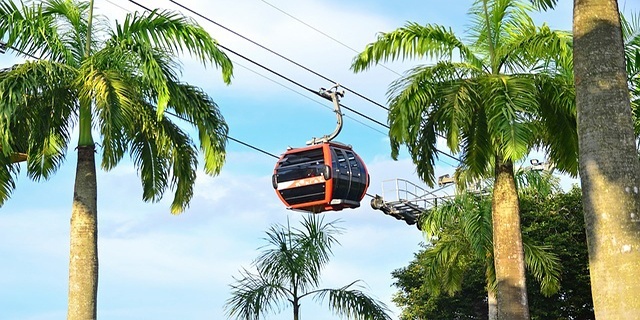 During the 90 minute ride, the cable car would run thrice between Mount Faber and Sentosa Island while you would enjoy a scrumptious meal, starting with appetizers and ending with dessert. 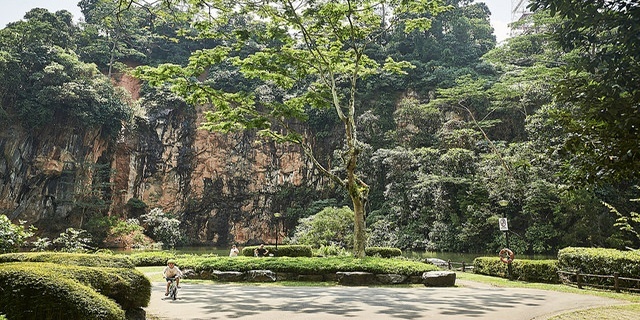 Known as Little Guilin by the locals, Bukit Batok Town Park is a picturesque place complete with granite rocks and a splendid lake. The beauty and the ambiance of the place exude romance, making it perfect for newly married couples. While you can walk hand-in-hand with your partner along the beautiful lake, this is also a great place to get some amazing selfies that would be a highlight of your social media profiles. To make it even more memorable, hire a professional photographer who can take some wonderful pictures that will be a great addition to your wedding or memory album. It has been established that a romantic dinner date is the classic romantic idea. But when the dinner date also includes an incredible view of the entire city of Singapore, the romantic date becomes even more interesting. If you want to do something special for your partner, book a dinner date on the Singapore Flyer and get ready for an experience of a lifetime. You would be seated in a capsule with an in-flight host who would serve you a four-course meal which would last two full rotations of the wheel. While enjoying the delicious dishes, you would get to check out various landmarks of the city including Marina Bay Sands, Merlion Park, The Fullerton, Collyer Quay, Helix Bridge, etc. 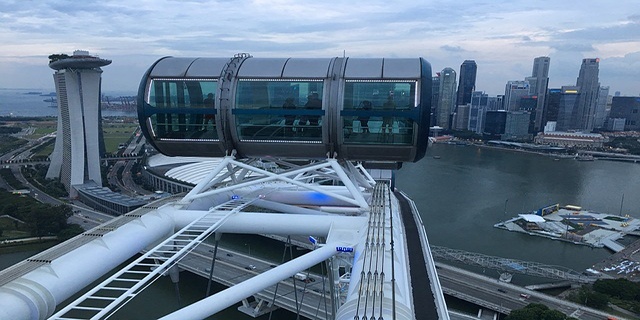 A ride on the Singapore Flyer is a unique way of sightseeing too. Marina Bay Sands is one of the coolest and the most posh areas in Singapore. While a walk around the place is interesting, the highlight of your romantic evening would be the light and water show. Moreover, this may be the very few things to do in Singapore for free. When the clock strikes eight in the evening, you get to witness an incredible show that involves the use of water jets, laser lights and fire geysers, all performing a synchronized dance choreographed on the beats of soulful music. After enjoying the performance, you can choose to visit the Ku De Ta Club Lounge at the Marina Bay Sounds Hotel for a champagne dinner. What makes the experience really romantic is that you get a 360o view of the entire city. While a dinner at this lounge does not come cheap, the incredible view is really worth it. 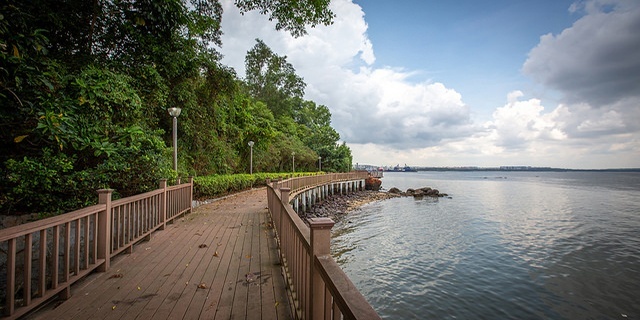 If you are bored of romantic dinners, clubbing and the splendid evenings in the city and want to enjoy some peaceful time with your partner, there is nothing more romantic than a stroll at the Changi Point Coastal Walk. Dotted with verdant green trees, offshore kalongs, stunning view of the sea, hilltop chalets, heritage trees, etc., the place is nothing less than quaint. While you can visit this place anytime during the day, the best time for a romantic walk would be in the evening when you can watch a stunning sunset. If you want to have a low-key romantic evening with none of the hustle-bustle of the city, there is no better place than Changi Point Coastal Walk. Going on a jungle safari may seem to be the last thing on your mind during your honeymoon. However, Singapore's Night Safari is unique and something that you should not miss. As the name suggests, the night safari happens after sunset when most other parks and zoos close. 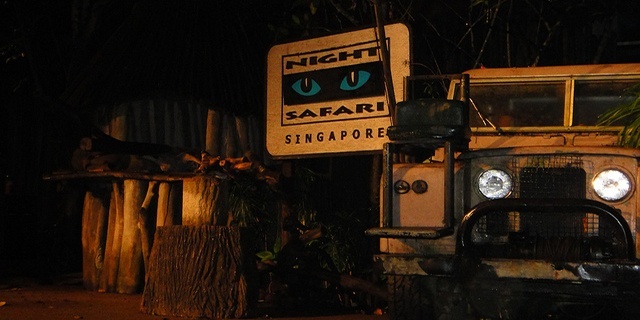 Known to be the world's first nocturnal zoo, the Singapore Night Safari has made the setting as natural as possible. While you can choose to ride a tram along with other visitors, you can make your visit romantic by opting to explore the place on foot through one of the walking trails. The Singapore Night Safari has several interesting exhibits, and you should also not miss the tribal performances. This is the perfect place to visit for those couples who are looking for unique experiences during their honeymoon. Although not exactly a romantic destination, the spa experience is something you must not miss when in Singapore, especially if you are on your honeymoon. There are several spas in the city that offer luxurious packages for couples where you can relax and spend quality time with each other. 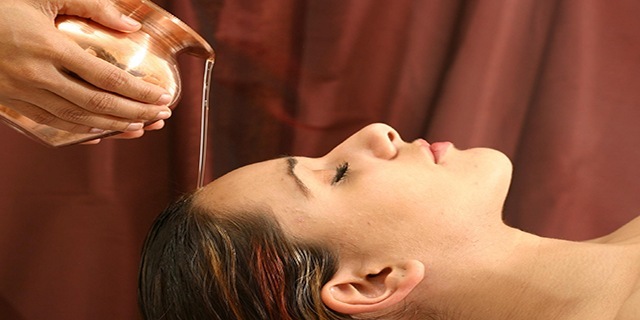 Most spas in Singapore not only look plush but offer the best services. Combining eastern and western massage techniques, the massages would relieve all the wedding stress and help you relax. Most hotels offer spa packages. You would also find Singapore honeymoon packages that offer spa massages and treatments along with sightseeing and other experiences. These honeymoon destinations in Singapore would ensure that you have a lovely time in the city-state. With so many marvelous experiences, a honeymoon in Singapore, without a doubt, would be a great start to your new life.